“We are doing ‘our own thing’ this year. Stop by for pizza and wine tasting. Special opportunities to pirate the pirates with some great deals on your favorite Mitchell wines. We will honor any passport or issue you one with the old ‘jolly Rodger.’ The Italian wood fired pizza oven will put out ‘Endless Pizza’ and there will be someone ‘thieving’ the barrels for future tastes of Mitchell Reserve wines that will surely sell out before maturity. Member, bring friends. Old friends and New friends, just show up and enjoy the experience you have had in past years of formal passport events. This is not formal. 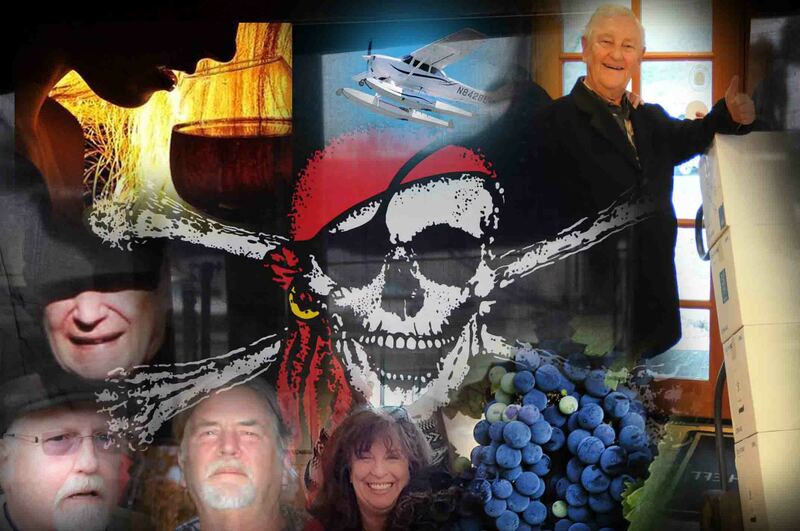 Captains Charles and Jack will host your tasting with Ray and the usual suspects.